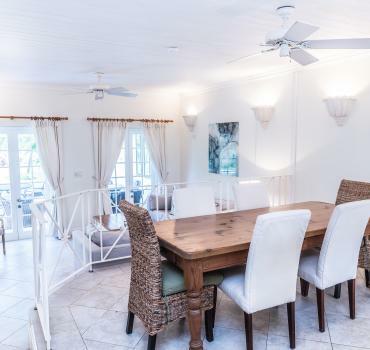 Expertly designed by renowned architect Larry Warren this semidetached villa features three en-suite bedrooms and elegant open plan design. At just over 2,600 sq. ft. the villa has a modern kitchen, spacious living and dining areas and a private terrace with a view of the polo field. The twenty luxury villas are nestled around a beautiful lake and central swimming pool. Villa. 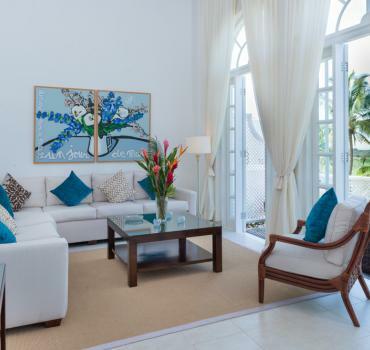 The three bedrooms are all air-conditioned with their own en suite bathroom and patio. There is a small plunge pool on the patio along with a large community pool for use only by Polo Villa tenants.